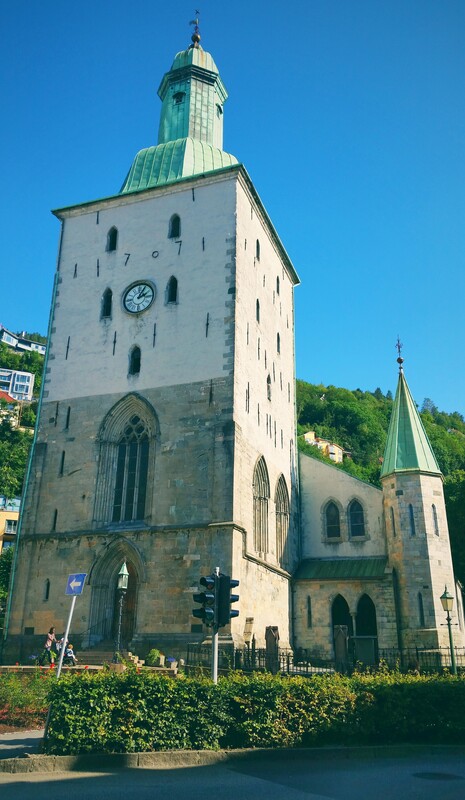 St. Mary’s Church – this is the oldest building in Bergen, dating all the way back to the late 1100s. That’s pretty old! This is one of the things I love most about traveling – being able to see these great old buildings that truly don’t exist anywhere else. Of course, it’s been damaged, rebuilt, renovated, etc. over the years, but the fact that it originally dates back that far makes it worth seeing. You can take as many pictures as you want outside, but you’re unfortunately not allowed to take any inside (it also costs ~$4 USD to get in). 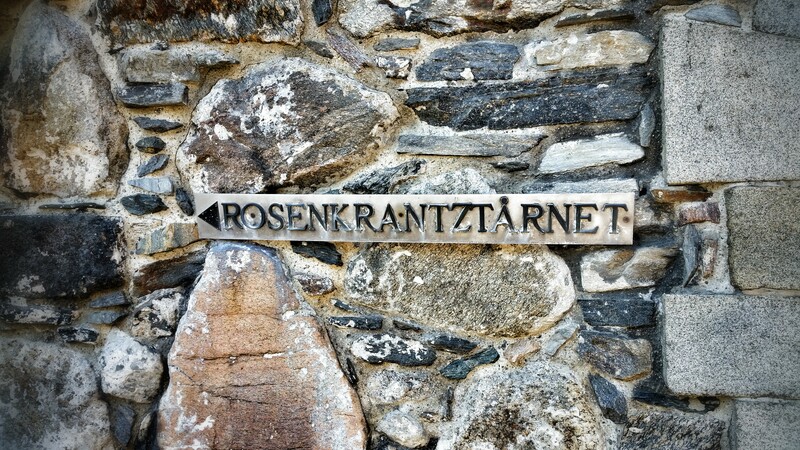 Whether you’re going in or not, definitely add this to your Bergen itinerary! 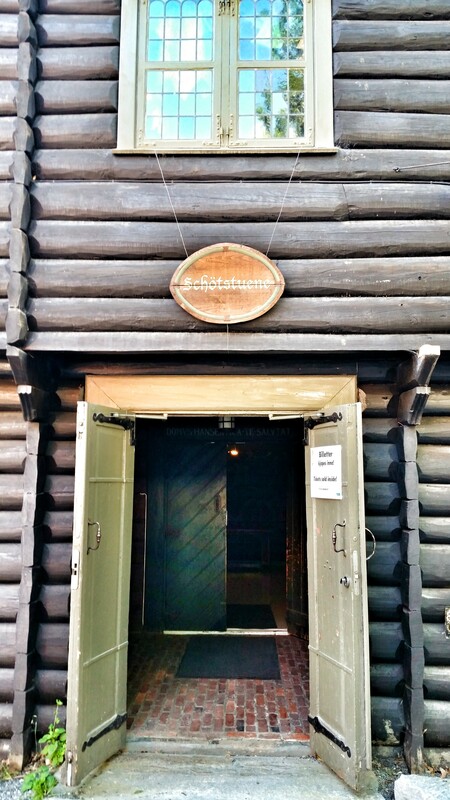 Bryggens Museum – haven’t heard of Bryggen? 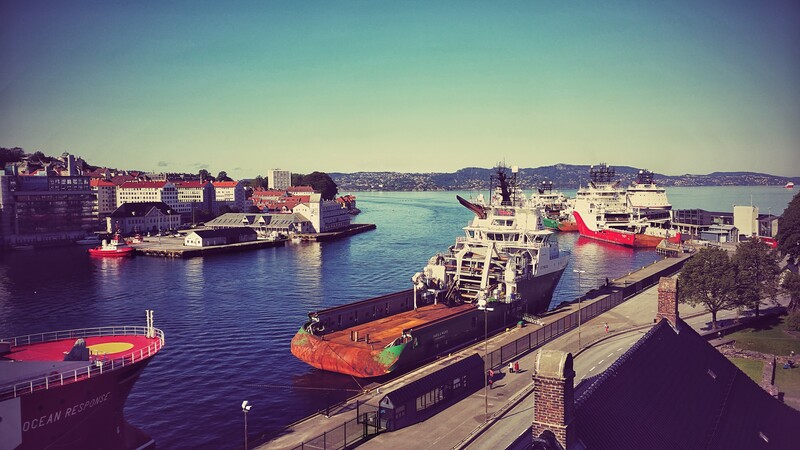 It’s the old wharf area in Bergen and it’s what the town was originally built around, so you’ll see the name pop up a lot when you’re here (and the Bryggen area itself is a UNESCO World Cultural Heritage site). 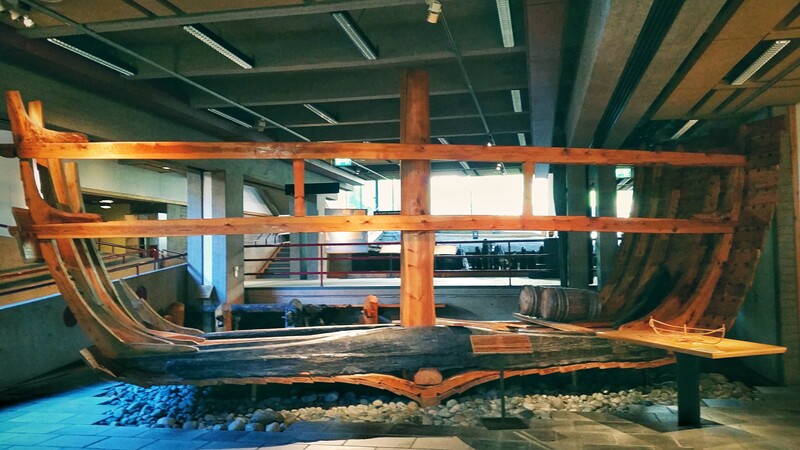 This museum is dedicated to the history of Bryggen and, more broadly, Bergen and what it was like in medieval times. It’s not a terribly big museum and, to be honest, it wasn’t terribly interesting either. There’s a bit of history, a bit of old stuff on display, but nothing that exciting. The entry fee is ~$11 USD, so not terrible, and that fee also gives you 50% off entry into a number of other museums, one of which you’ll read about momentarily. Would I recommend this museum? Not especially, but it’s not a bad way to spend 45-60 minutes. Pingvinen – this was our lunch stop! I haven’t talked much about food on this trip, but Pingvinen (that’s Penguin to us English-speakers) was recommended by our Airbnb host as favorite place of his that serves traditional Norwegian food. Since we hadn’t yet tried any real Norwegian food (and since recommendations by locals are almost always great), we gave it a try. Scott had beef meatballs and I had lamb sausages – both were delicious (see photo below)! The server/bartender/staff guy that helped us was great and spoke perfect English (which is actually something we’ve found throughout both Iceland and Norway so far – no problems communicating at all) and the atmosphere of the restaurant is comfortable and a little quirky. 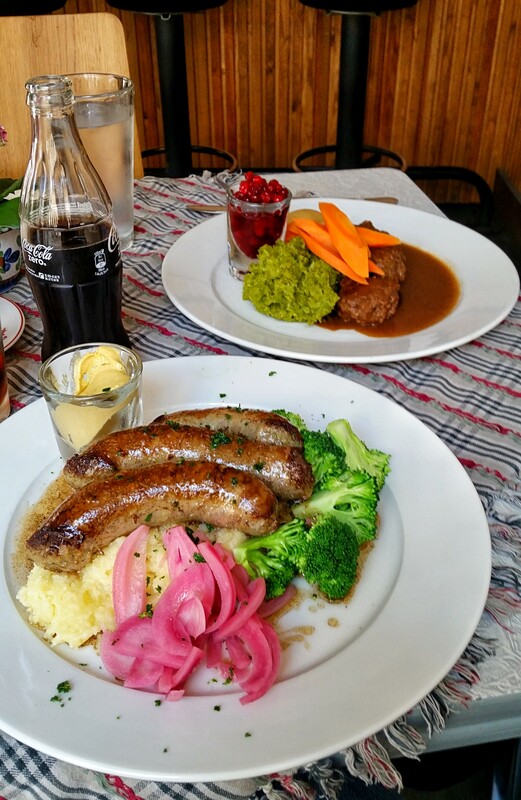 As with most restaurants in Norway, it was a bit pricey (~$50 USD for the two of us), but that’s an accepted cost of coming to any Scandinavian country, so I still highly recommend Pingvinen! 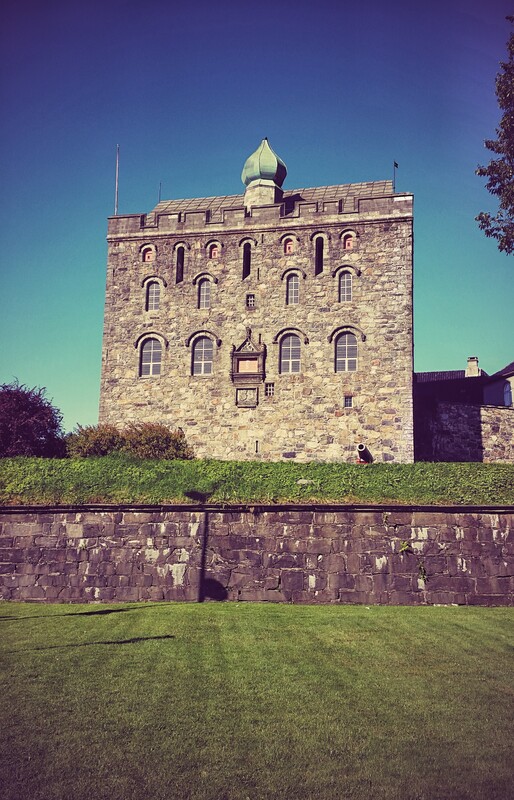 Bergen Cathedral – this was more of a drive-by visit because the cathedral is only open for a very short window of time (Tue-Fri, 11a-1230p) outside of the summer. Of course, we still took pictures of the outside, but I was bummed we couldn’t go inside. We’re going to try and visit tomorrow since we don’t fly out until late afternoon. Just another reminder to check those opening times! 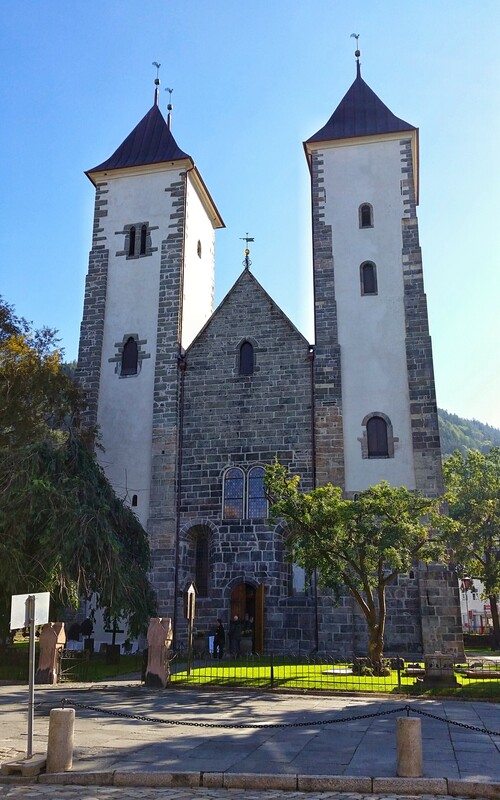 As you’ve heard me say before, I always recommend visiting churches and this one is no different, so go see it. 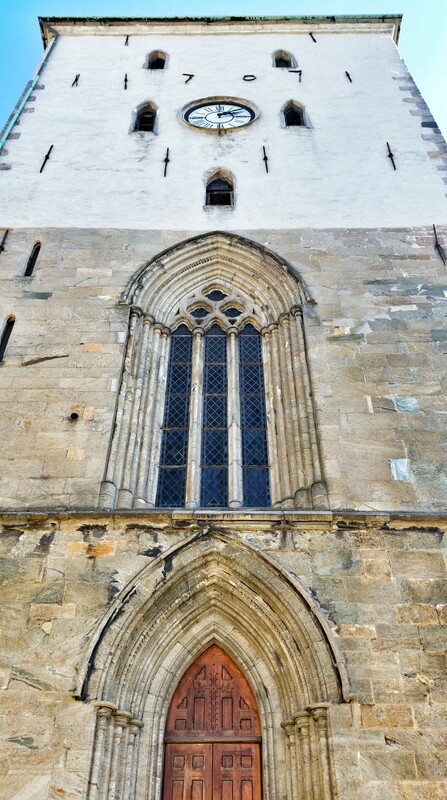 And keep a sharp eye out for the cannonball that’s embedded in the tower, above and to the left of the main door. It’s been there since it was fired from an English cannon in 1665! Hanseatic Museum and Schøtstuene – these are two separate buildings (a few blocks apart), but they seem to be considered one museum (and you only pay one entrance fee of ~$10 USD to get into both), so I’m lumping them together here. 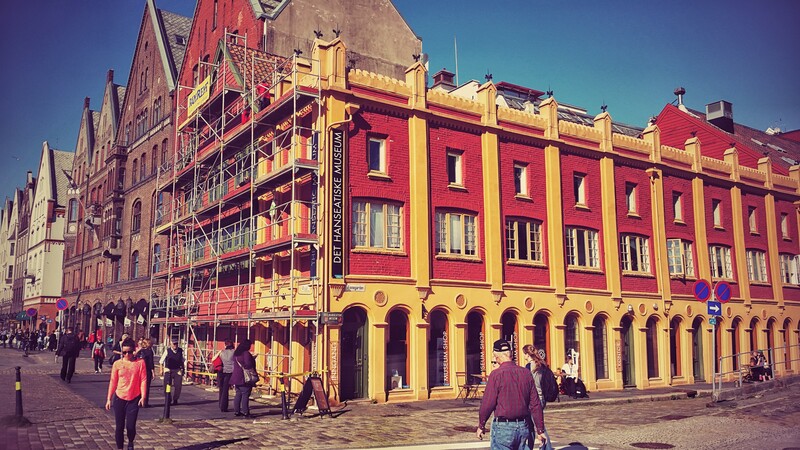 The Hanseatic Museum covers the Hanseatic period in Bryggen (1400-1800, roughly) and is one of the few preserved wooden buildings in Bryggen (most were torn down or destroyed over the years). 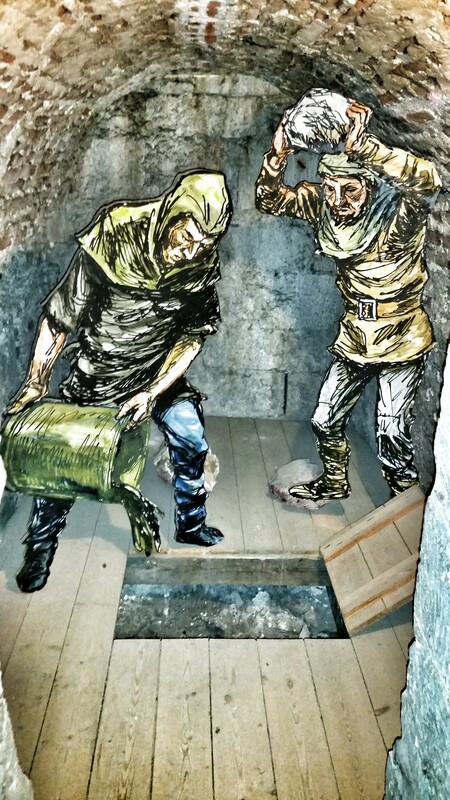 There’s lots of great information about what it was like for the fish merchants of the time – how they caught the fish, preserved them, shipped them, etc. Schøttstuene is another one that wasn’t on our list and we only went there because it was free (love a good deal, right?) and nearby. There’s not a lot to that museum, though it is full of all sorts of old artifacts from the past. 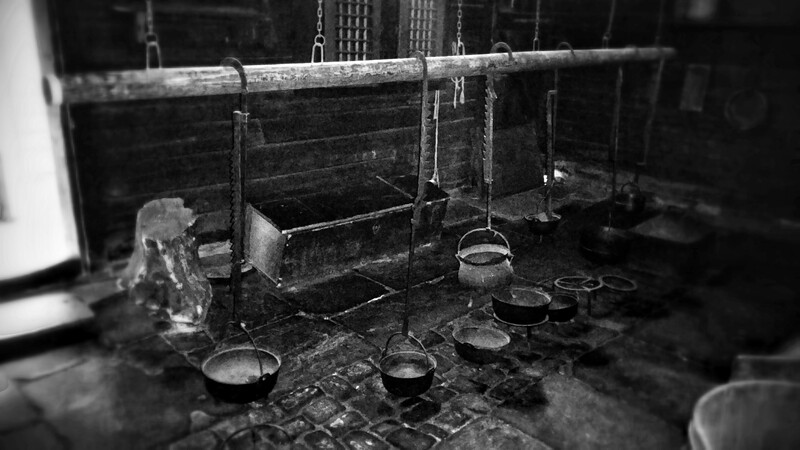 And in writing this blog, I discovered the original purpose for the Schøttstuene was to do the cooking for Bryggen (because fire wasn’t allowed in any of the other Bryggen buildings because they were all made of wood). 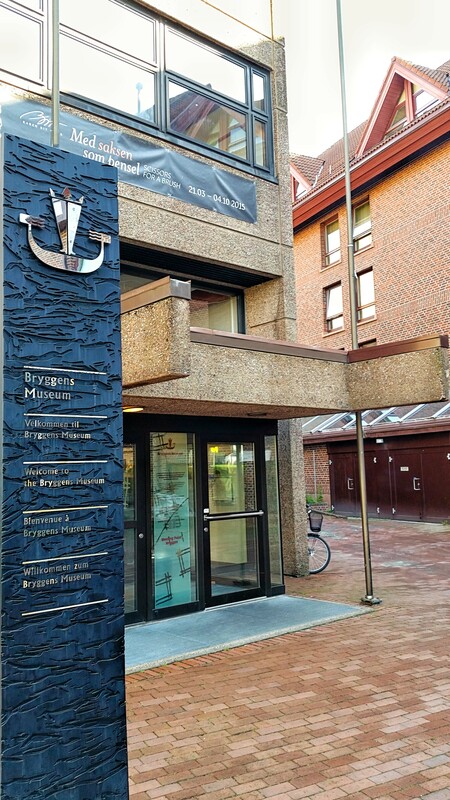 The Hanseatic Museum wasn’t too thrilling either, but because it details such an important part of Bergen’s past, it’s still worth a visit. Wow, this day didn’t feel quite that busy until I wrote everything down. You deserve some visual stimulation after reading through all that! Looking up at St. Mary’s Church. 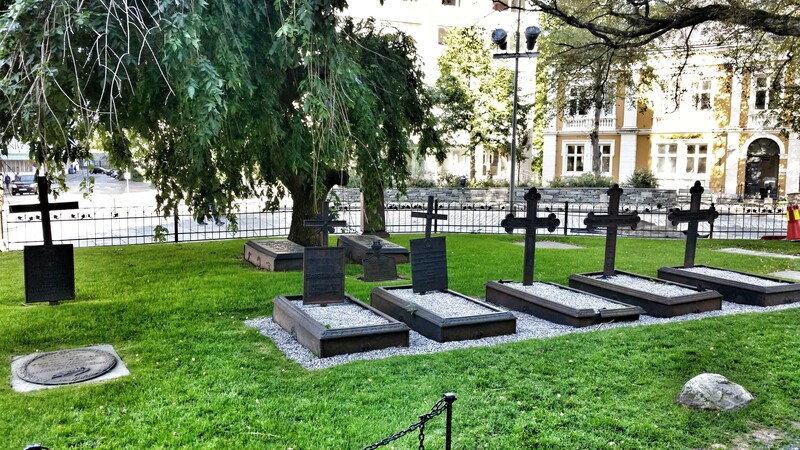 Graves in the churchyard in front of St. Mary’s. Heading into the Bryggens Museum. Although most of this ship in the museum is a reproduction, there are seven original pieces incorporated into it (those are the dark, almost black pieces). 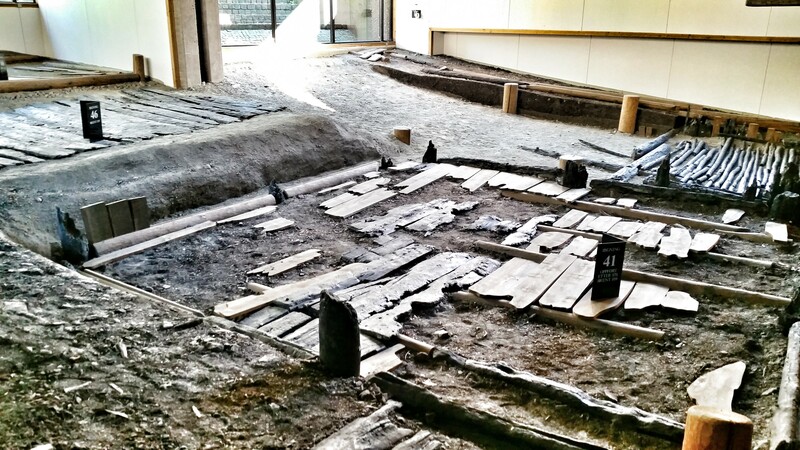 Remains of the earliest tenement in Bryggen. I thought this sign was so cool! Looking out a suitably medieval-looking window, complete with armor below it. 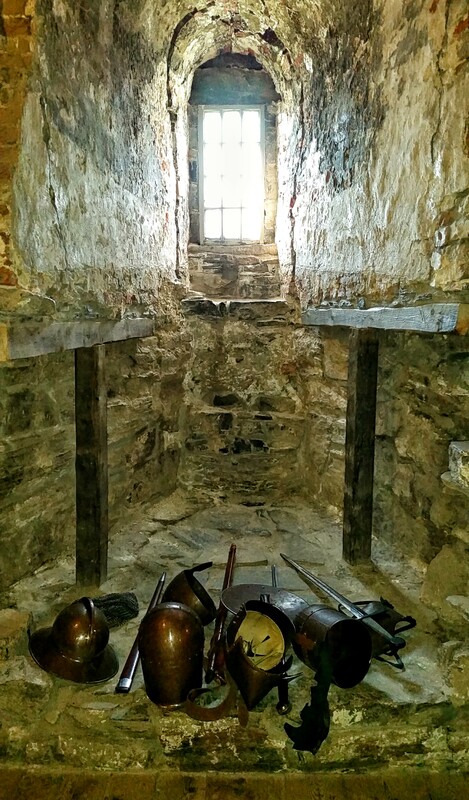 These little trap doors were used to through boiling water, rocks, etc. on anyone who might attack the tower. The view from the top of the tower. Didn’t I say it was pretty great? 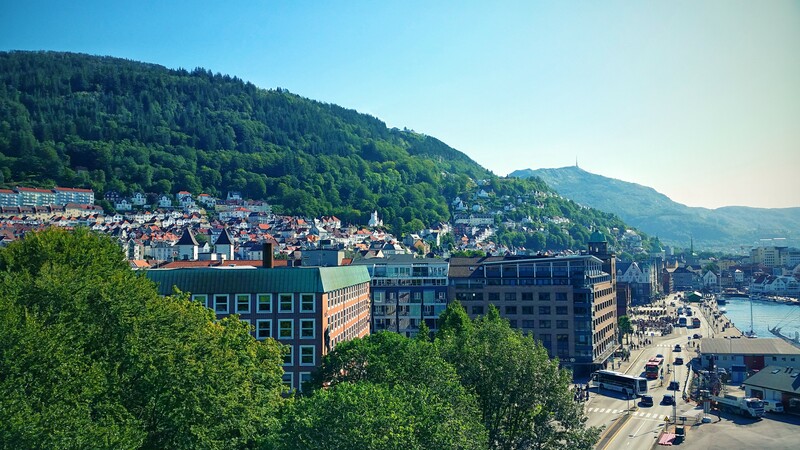 Another view of Bergen from the other side of the tower. 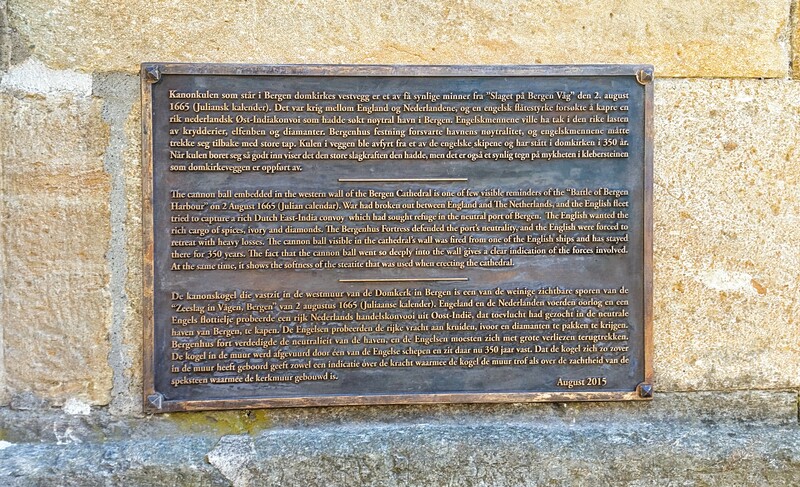 A plaque discussing the cannonball. Can you spot the cannonball? 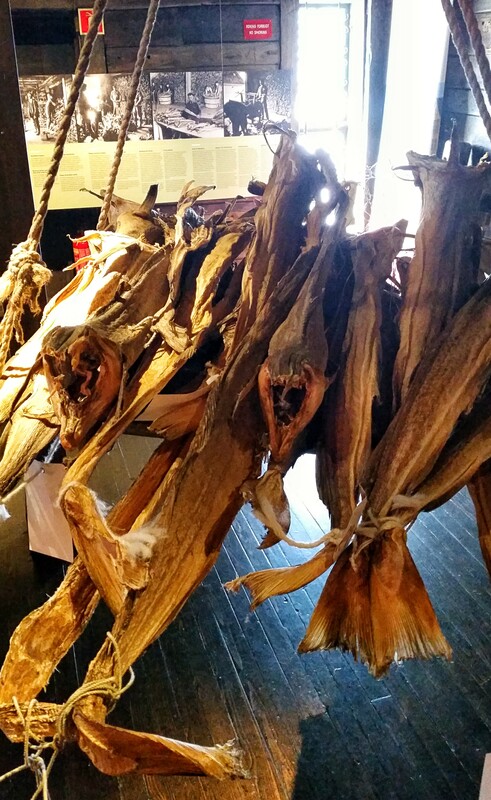 Showing off some dried fish in the Hanseatic Museum. 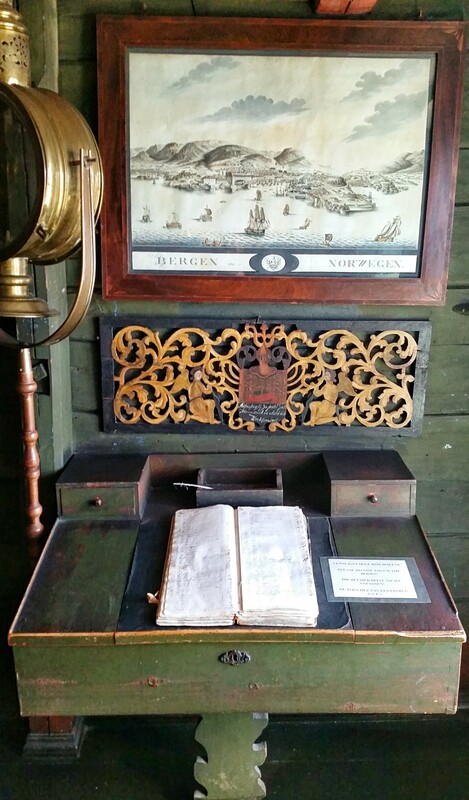 Merchant’s office in the Hanseatic Museum. 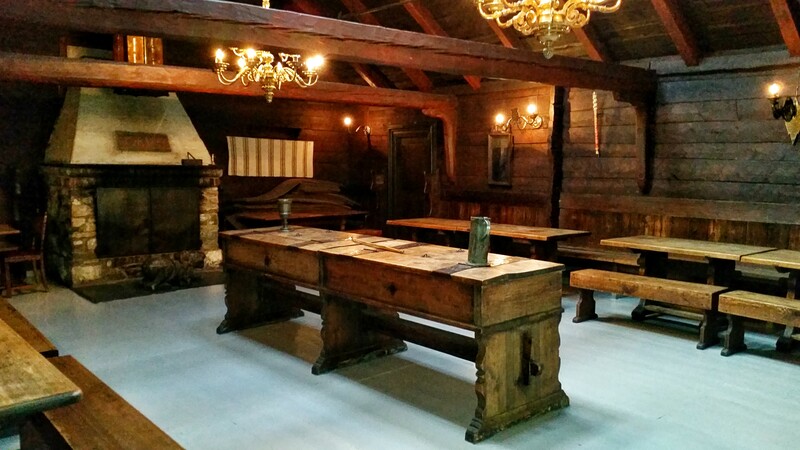 A large dining hall in Schøtstuene. 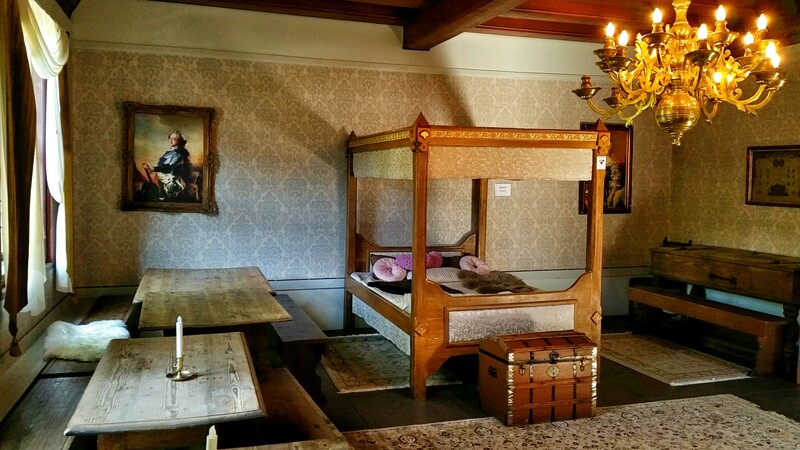 I doubt this was originally a bedroom (since Schøtstuene is where all the cooking was done), but there were all kinds of random items in this room, including a bed. After our full day, we relaxed back at our apartment, did some laundry (a necessary evil when you’re on a longer trip like this as it enables you to pack lighter – thankfully our apartment includes a washer/dryer! ), and then headed out to dinner at Ruccola, an Italian restaurant that was also recommended by our host. We actually tried to go yesterday, but they were really busy, so I made a reservation for tonight to be sure we’d have a table. We shared some delicious caprese salad and each had some tasty pasta dishes. This place is a definite recommendation! They do lunch as well, which may be a little cheaper (but remember, it’s always expensive to eat here!). And that’s just about a wrap on Bergen! We’re flying to Copenhagen tomorrow, but not until 4p, so we’re going to try to get to the cathedral during their small opening window and we’d also like to take the funicular up to Mt. Fløyen. The entrance to the funicular is literally two minutes from our apartment, so we have to do it, plus the views at the top are supposed to be pretty amazing. So you’ll get a bit more Bergen yet!